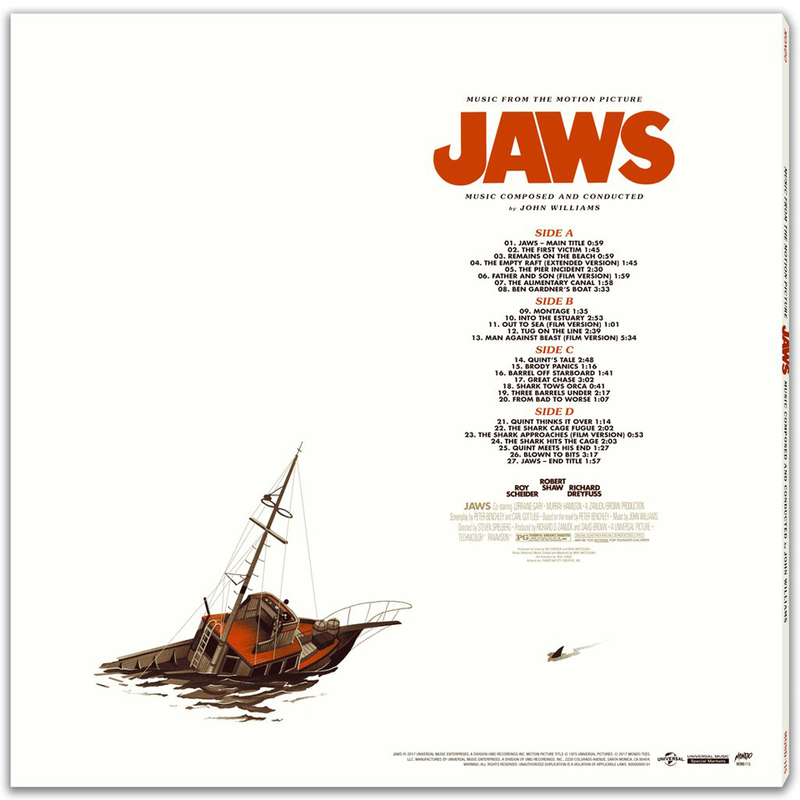 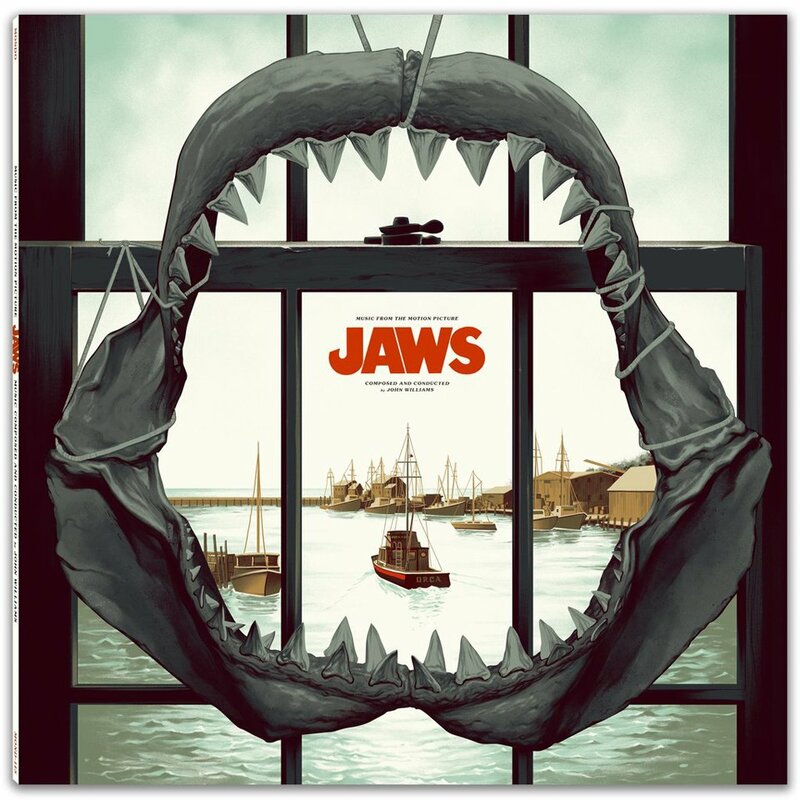 Previous vinyl record releases of John Williams’ award-winning score for Jaws contain re-recorded versions of the songs. 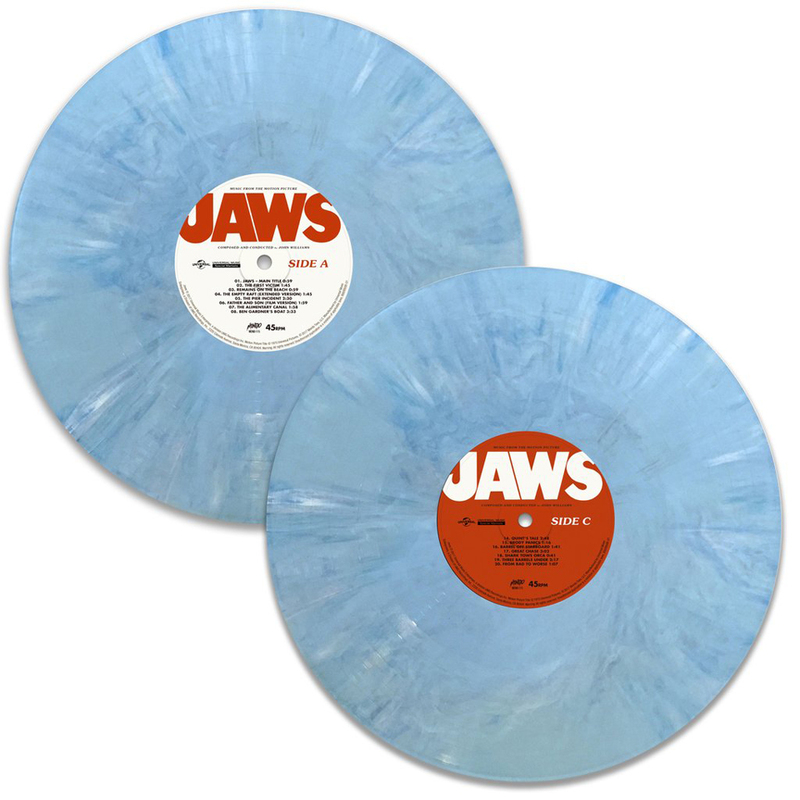 Mondo’s watery blue release marks the first time that the original score (albeit restored and edited) will appear on vinyl. 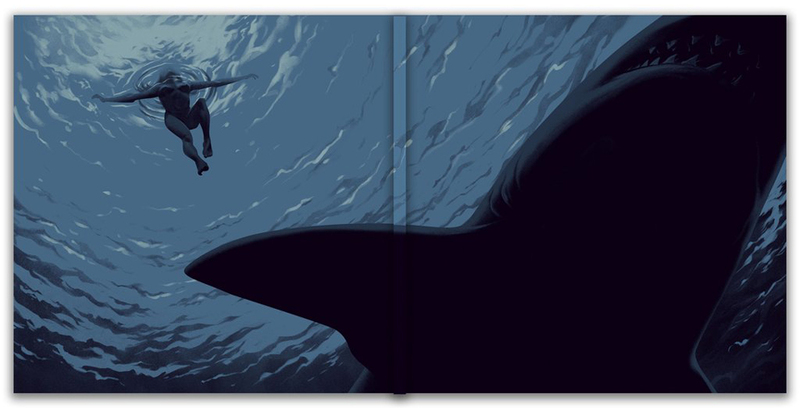 PCC’s sleeve art is a plus too.